SAME STRUCTURE; NEW LOOK – Old treated deck boards were removed and existing joists reinforced (where necessary). 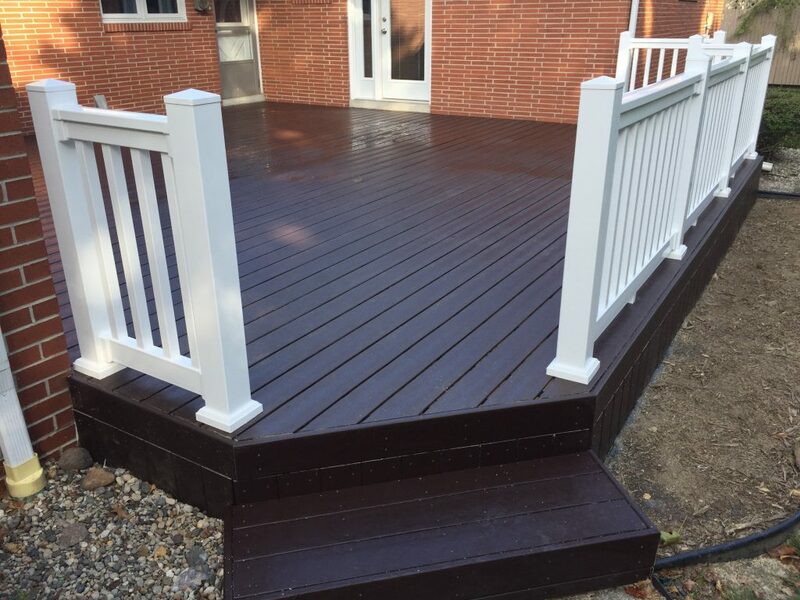 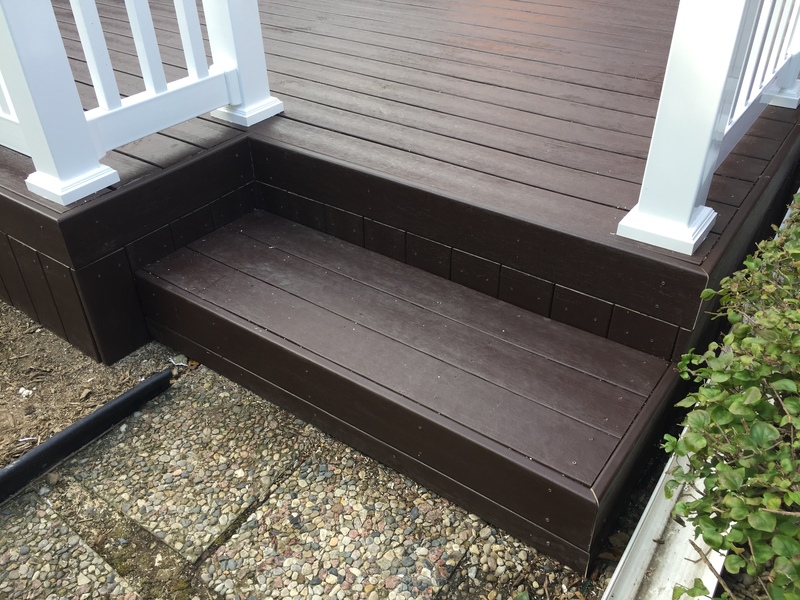 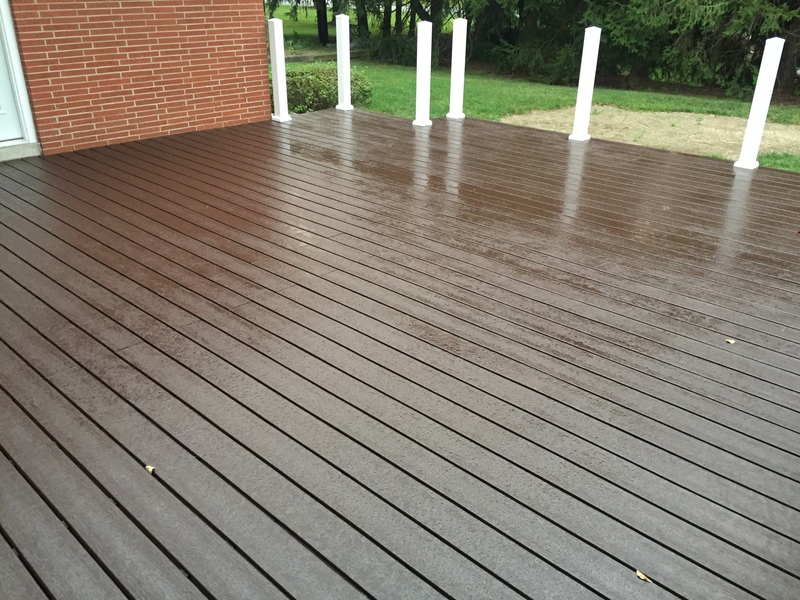 Ultradeck Fusion Composite Deck Boards (Walnut) were installed using hidden t-clip fasteners. The new skirting is comprised of horizontal deck boards as a perimeter border, and followed up with vertical deck boards as a nice, solid critter barrier. 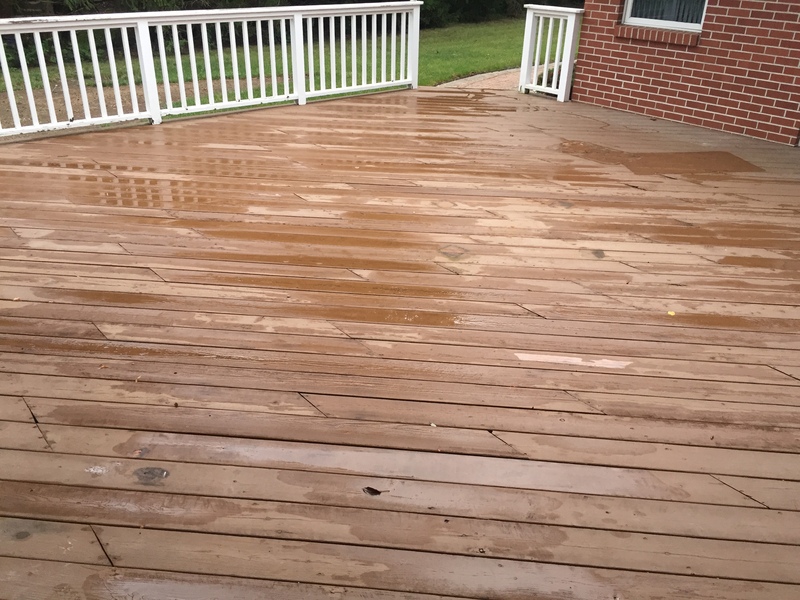 This product carries a 25 year limited warranty and features encapsulated wood grain embossed surface for best fade, scratch, and stain resistance. 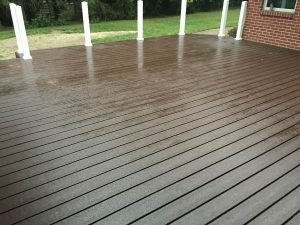 This means no more painting, staining, or waterproofing! 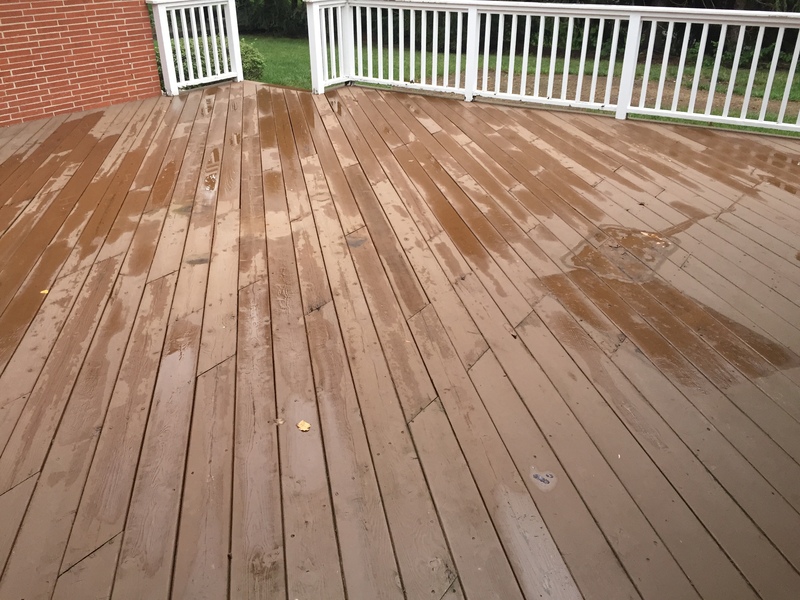 Just give it a good pressure washing once or twice per year and you’re good to go. The new white rail product is by Fypon, and features a lifetime warranty with no maintenance vinyl composition. 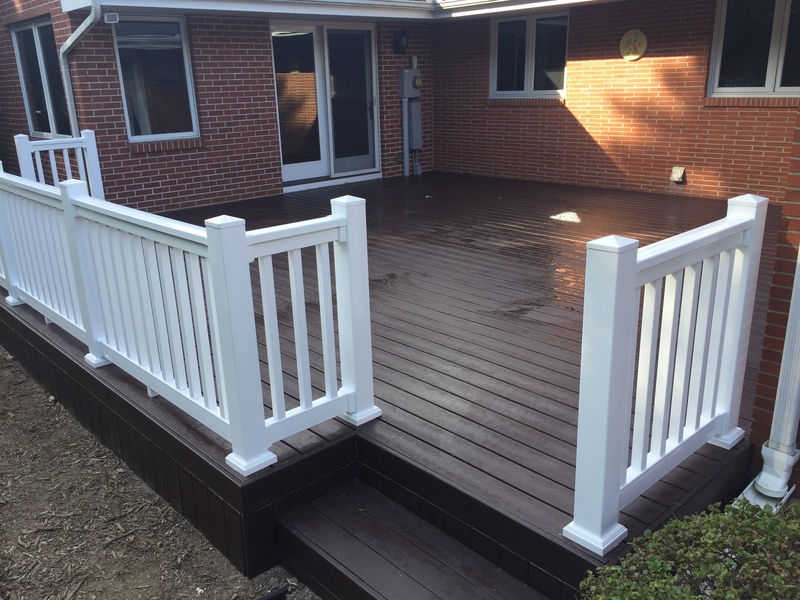 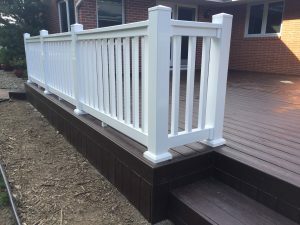 I love the look of the crisp white rail to accent the dark finish of the deck surface. 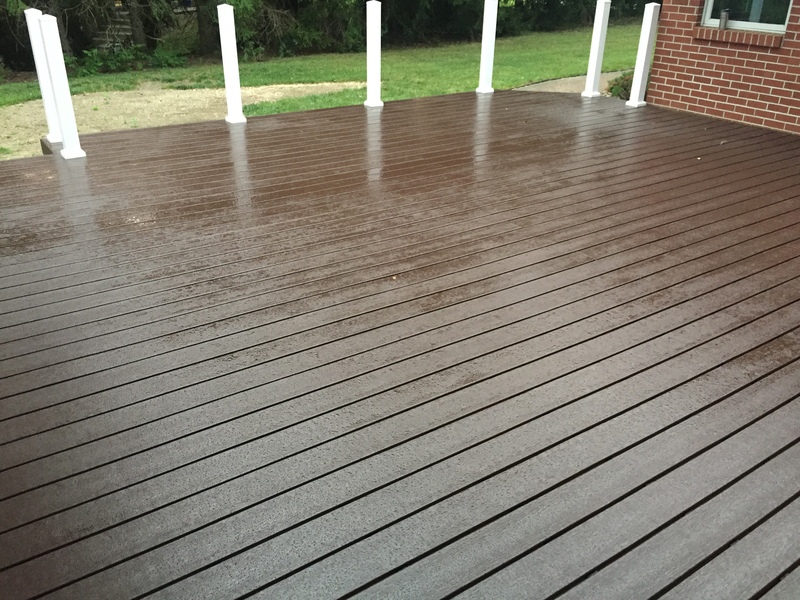 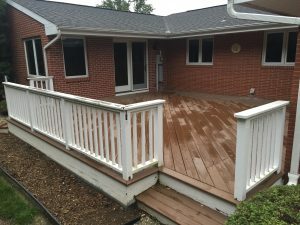 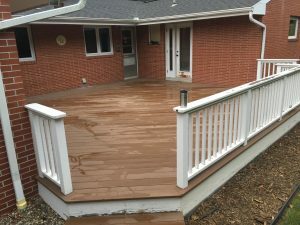 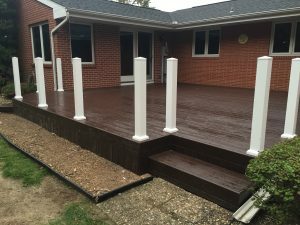 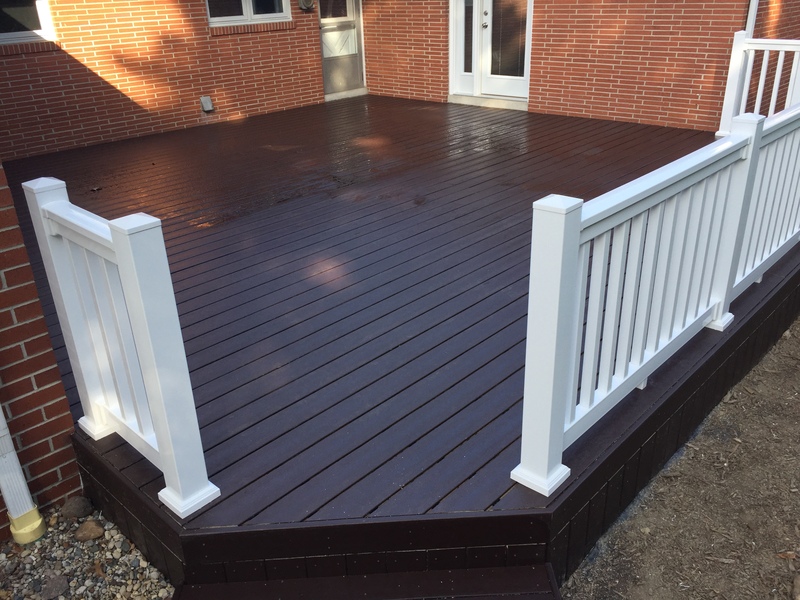 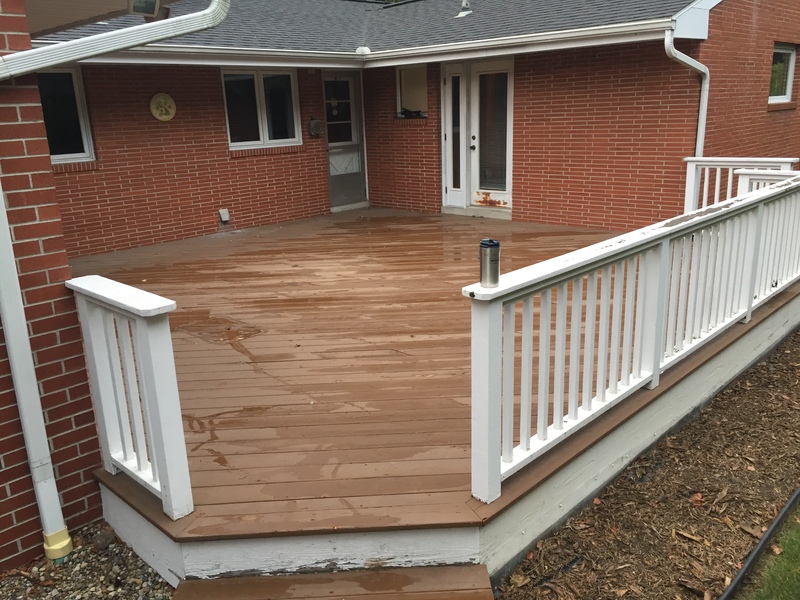 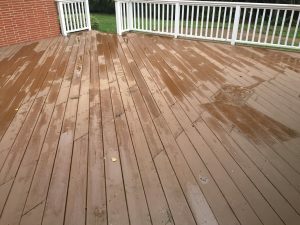 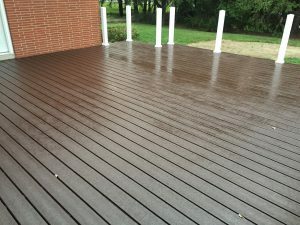 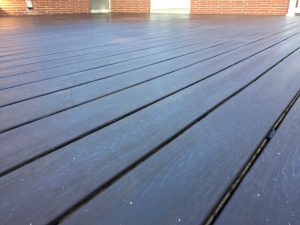 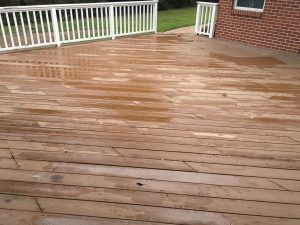 Let me know if I can get you a quote for your deck refurbish – 419-212-3200.